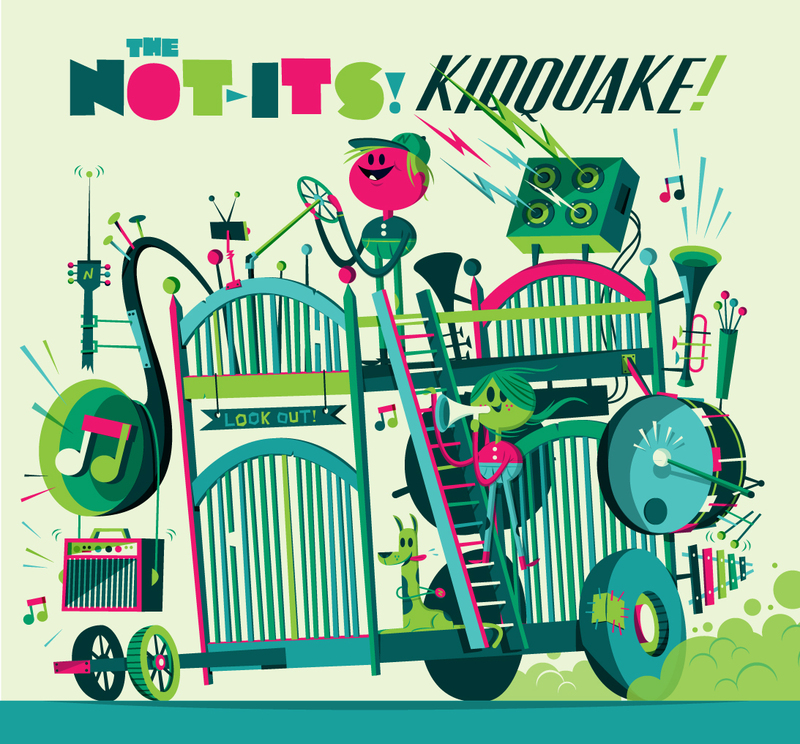 Seattle kindie rockers, The Not-Its, are back with another video from KidQuake!, the band’s 4th studio release to date. “Let’s Skateboard” features the ridiculously stylish band members rockin’ out at a skatepark in the middle of a bowl while young skateboarders zoom and glide all around them. Some of the kids even sport tutus while doing their tricks. How cool is that? I can’t help but get giddy when watching this video as I recall pasting my bedroom walls with Thrasher Magazine covers while growing up. Ahem. Further projecting the song’s energy, director/producer Stacy Jenkins (Lost Boot Media) does an excellent job of shooting at all the right angles, fantastically capturing the gravity defying motion of these fascinating kid rippers. So, even if you aren’t up to date on the latest skateboarding lingo, “Let’s Skateboard” provides enough movement and energy that you will feel as though you are in on the scene. Whenever a new video from The Pop Ups, um, pops up, it’s always brimming with humor and creativity. Their videos, like their songs, are clever and have a way of luring me into pressing repeat/rewind several times over. As usual, The Pop Ups do not disappoint. “Subway Train” is definitely a trip. Keeth Apgar, front man, master songwriter and multi-instrumentalist for The Harmonica Pocket, is a deep thinker and highly talented songwriter. 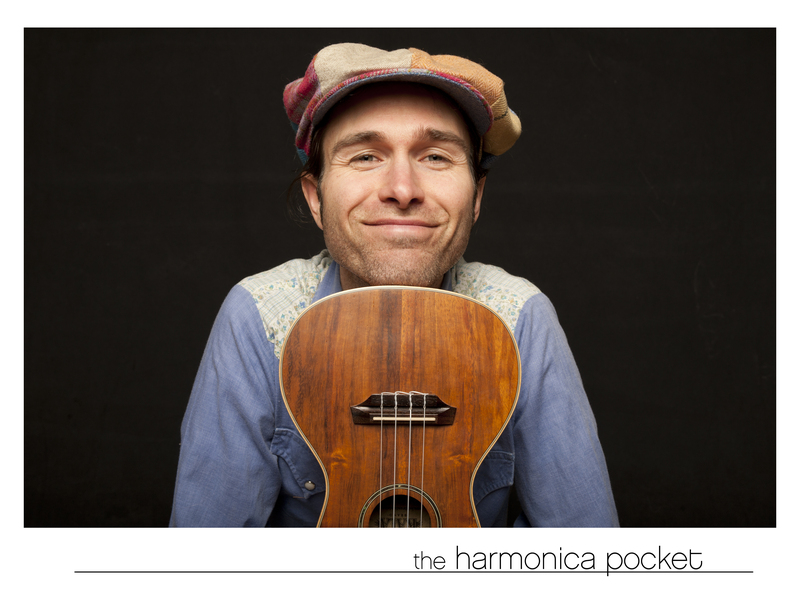 In addition to Keeth, The Harmonica Pocket features a regular group of folks, one of which includes partner Nala Walla, who delivers rich harmonic vocals throughout the album. Last year, The Harmonica Pocket released their third full-length children’s album called Apple Apple. The recording of the album, as well as previous albums, took place in a solar powered studio on a tiny island in Puget Sound, Washington, where they live. Prior to the release of Apple Apple, Keeth and Nala welcomed their first child into the world. As a result, many of the songs reflect the experiences and bond they have as a family while also celebrating the natural world that surrounds them on their little island. Apple Apple is a beautiful album that will leave you feeling like someone just whispered a gentle lullaby in your ear. To learn more about Apple Apple take a peek at my review. Intrigued by Keeth’s thoughtful songwriting and musicality, I was very happy to have the chance to talk with him about the album, his approach to songwriting, family life and apples. KCG: Was music something that you always kind of enjoyed being involved with? Was there a particular path that led to where you are now, musically? KA: Well, it wasn’t my path. My Dad was an athletic director at a public school district so we were really into sports as kids. Slowly, I was getting more and more interested in music and kept asking my parents to get me a guitar. So, they rented a guitar and got me some lessons where I learned basic stuff, like how to tune it, for example. Then, in high school, I just started playing and writing some songs. We’d come home from school and try to figure out guitar solos on a Metallica or Van Halen record and play along with them. But it wasn’t like I grew up in a family with jazz on the radio or Beatles records on. I really don’t know why it happened. KCG: Maybe it was meant to be. How has music shaped or influenced you throughout the years? KA: I definitely connect with it now and I really encourage parents and kids to embrace it, especially if a child is expressing an interest in [playing music] because it has given me such an anchor in my life. Through the good and the bad, [music] helps me process things that have happened in my life to this day. For example, if someone dies, a pet dies or if something beautiful happens, [music] provides a way to spend time with that [occurrence], focus on it and write about it, process it and help release it. So, it’s really a powerful thing for me, and that’s one reason why I like playing music with and for kids. I want to share and introduce that process to them. KCG: Do you think your perspective has changed since your son, Montana, has come into your life? KA: Most definitely. I had a job in a preschool around 2002. During that time, I was with kids of different ages, just getting to know them, figuring out how they think, what they talk about and stuff like that. I really enjoyed that work and that time with them. But, even though I thought that I really knew what it was like to hang with kids, having a kid of your own is such a different level because you know your child so much more deeply. You’re with them all the time; through the tears, through the poo, through the laughs. I think that this album reflects some of that. Some of the songs on Apple Apple are informed by me having my first child. There’s a song called “Monkey Love,” which reflects how people, or monkeys in this case, come together and form a family. “Little Little Baby” is kind of an obvious example. Another one is “Reflections,” which I wrote while I was helping to get Montana to sleep one day. We were just walking and humming and I realized that being a parent is so intimate. Lots of kisses and hugs. It struck me deeply and I thought it was important to put that song onto a family album. KCG: I think it’s interesting that you used Chris Ballew (Caspar Babypants) as Monkey 2. His voice complements the song very well. KA: I was super psyched when Chris [Ballew] was up for singing on “Monkey Love.” I thought he was the perfect monkey to be in our “family.” Chris has become a friend and I really like what he does a lot. He’s a great guy and he works so hard. I’ve been wanting to do something with him for a while. KCG: We are big fans of Chris’s music as well. On “Monkey Love,” the harmonies between the 3 singers add alot of depth to the song. It really brings the monkey family to life. KA: I really like vocal harmony, too. That’s something that really excites me. It’s kind of a mystery. I studied music theory and I technically know how it all works, but then you step back and take away all the literacy and nomenclature, and the way we describe it in the western world and go “Wow, why do voices pull against each other in this pleasing way when you create vocal harmonies?” It just blows me away! As a result, all of my records are full of vocal harmony. In the case of “Monkey Love,” I played with 3 different singers, singing harmonies, as opposed to myself singing most of the harmonies. KCG: I also noticed that when Monkey 1 and Monkey 2 are introduced, they are accompanied by the sounds or sticks banging, and then when Nala comes in (as Monkey 3), and you all become a family, the background changes and there are accents like the sounds of crashing cymbals in celebration of this coming together. Was that arrangement intentional? Do you use instruments as a way to accentuate a song, or as additional “voices” in some ways. KA: Yeah, definitely. There’s all kinds of different approaches to producing a song. Something I really love to do is have a dynamic build, giving the song a sense of growing. Maybe beginning small with simpler sounds and simpler productions, generally having less elements going on, and then slowly introducing things one by one. The song, “AppleApple,” is a good example of that, or “Afraid of Heights,” where things start very simply, melodies are introduced and then it starts to build, and, in the case of “Apple Apple,” turn into a drunken circus where there’s kind of a lot going on and laughter. So that building is something that I really love to do in producing the songs. Another layer that I like is the twist. I really like to have some character development in some of my songs. Again, “Afraid of Heights,” is an example of that or “Waiting Always Takes a Long Time,” where you have this character, and sometimes it’s me or there’s this little birdie in a tree, and things start happening. Maybe there’s a conflict or there’s some trouble there and something happens in the song where it’s used to change the perspective. The turning point of the song, what I call the bridge, is where something happens, and when you get to the other side of the bridge, you go back to the chorus or the repeating line and [the song] means something a little bit different now. So, in “Afraid of Heights,” when the bird is born and she’s in her nest, she looks down and thinks, “Oh my goodness I’m so high up, this is terrible!” Then, suddenly, she looks up and sees the sky for the first time and realizes “Oh, the possibilities!” And it’s then that she opens up her wings, flies into the sky and exhales. The timing for the song “Afraid of Heights,” is in 4/4, where you’re counting up to 4. For the bridge, the song goes into 3/4 time just to demonstrate that something new is happening, and it’s really subtle. KCG: There’s a personification element with some of the subjects in the songs on Apple Apple. But, I think that taps into the imagination of a younger audience. I spend hours sometimes just being a puppeteer or making any inanimate object talk and immediately, my daughter feels comfortable and excited to explore in this type of play. KA: I think that comes from just being around kids. Just like you said, and from what I’ve observed, that’s how they play. The song that comes to mind on Apple Apple is “Apple Eyes.” There is an apple tree in our yard that drops so many apples in the Fall and they are so delicious. Every morning, Montana and I would go out and bring a basket with us to the tree. We shook the tree and picked up any apples that had fallen overnight, and we just talked to this tree. We said “Hi” to the tree and a lot of other things. I realized, in doing that, it was really creating an awareness of the natural world for him. That this tree, for example, is a part of our little neighborhood community; it’s a part of our family, in a way. To look at a tree that way is very different from just going, “Oh, I’m gonna go out and this tree is just dropping all these really great apples, and we’ll go steal them and bake pies and share them with our friends.” It’s just a different way of looking at the world. It was a discovery for me to start personifying things in my daily life and just seeing the relationship that can develop. With this song, “Apple Eyes,” all this stuff that I was just describing, all came after that song. That song just kind of happened. A couple of lines came from that song, simple little melodies and I realized that I didn’t know where the song was going and I didn’t really care. It was that discovery. So, I made the apples’ eyes close and things like that. And, that’s an example of a song that’s not super linear, you know. You don’t need to track the song from the first verse, sequentially, to the bridge and beyond. It’s just a gentle lullaby-ish song where the images come and they go and they don’t mean any one clear thing, necessarily, which is where that song is hopefully helping its little listener. KCG: There’s about 5 songs, roughly, at the end of your album that are like lullabies. They’re just really soft and gentle, like a little treat for small (and big) ears. KA: On Ladybug One, I wrote a little letter and coded that in the CD artwork. The letter says “Put on track 10,” and from then on, it’s kind of a lullaby where it gets gentle and mellows out. I did that again with Apple Apple. 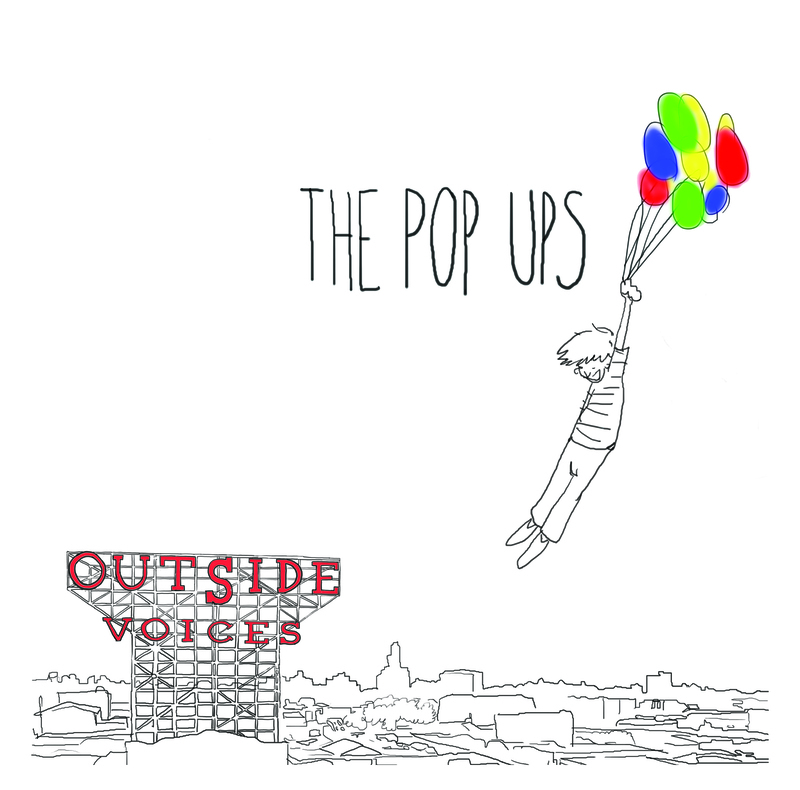 I think it’s nice to have [lullabies] as a possibility on a kids’ album. It’s cool that you discovered that because I didn’t explicitly say that in the CD artwork this time around. KCG: Going back to Ladybug One and looking at Apple Apple it would seem that there are themes. Do you do that intentionally? On Apple Apple, there are a lot of apple references, whereas Ladybug One has a bunch of songs about bugs. When you write, do themes help shape where you want things to go? What is your approach when thinking about creating a record? KA: Well, I start writing songs, they begin assembling and I make lists. My life is full of lists. The particular lists I’m referring to are a list of songs and little stars or a little line that means this or that. The lists could include songs that I really want to do, songs that I’m not sure how to do, or songs that might need more development. Slowly, it becomes organized into some songs that I start recording and eventually a title just pops up. What I was trying to do with the song, “Apple Apple,” and really why I liked that title, is because an apple is a very iconic kid noun. It was one of Montana’s first 25 words. Even though it has a couple of syllables and it’s not very easy to say, he really worked very hard on it. It’s also very iconic for the region I live in North America, and really in North America, in general, apples can be a local food which is another subtle part of our message; eating healthy and locally. So, I chose that over say, a banana, which doesn’t grow as commercially, as far as I know, anywhere in the continental United States. The last [reason] that I just want to mention is that saying [apple] twice, as in “Apple Apple,” refers to this album being my second big family album, and it’s kind of a way of tracking that. So, those are a couple of little reasons for having an apple in the title. I don’t know if I’ll stick with that and do something in three’s for the third album. It will be really subtle if I do. So, I came up with the album title and obviously there was the song, “Apple Apple,” but I wanted to have a few more references to apples on the album and so you have the song, “Bare Feet,” which is about climbing an apple tree. I almost changed the line in “Supermoon” to the moon being tangled on an apple branch, but I thought that maple was just as iconic [as apple], and kids would have more of an experience with a maple tree as opposed to an apple tree. But, I thought about it for a while and didn’t think it was that important. So, I had two songs, “Bare Feet” and “Apple Apple,” and was thinking maybe I can find more references [to apples], and the song, “Apple Eyes,” just kind of popped up and I thought, “Wow, what a great way to end the record!” That’s where the theme came from. It’s definitely conscious, but subtle. I try to keep [the theme] subtle and not too overt. I think in Ladybug One [the theme] was a little more obvious. That album really had alot to do with bugs; there are a few ladybug references, there’s fireflies, and there’s spiders. So, these songs are really a reflection of my world that I live in. We live in the woods, we go outside and we’re barefoot. We play in the garden in dirt, we go walking on trails, and there are owls and coyotes and raccoons and snakes and frogs all around us. KCG: That comes through in the lyrics of the song, “Bare Feet.” The song sends a message saying that we need to be outside and that it’s important for kids to be outside. KA: Doesn’t matter what your background is, how old you are or where you live. Put a kid outside and let them play with some sticks and rocks. The single has taken on many forms over the years. From 45’s to cassettes, singles had their place in the music marketplace. I still remember rushing out to the store, eager to get my hands on the latest colorful cardboard bound cassette. One song on each side or a new song on one side and an extended or remixed version on the other. Over the years, the novelty of a single release has worn off a bit, however, there are still some artists that enjoy cranking them out. And boy am I glad! Bay Area kindie rock trio, The Hipwaders, recently released a CD bundle containing some great new tracks that celebrate the upcoming Spring season. Gaia She Knows b/w Here Comes Peter Cottontail is a CD bundle that contains three songs: “Gaia She Knows,” “Here Comes Peter Cottontail” and the extended version of “Gaia She Knows.” The CD is packaged up with vibrant cover art by the talented Brian Clarke. Just in time for Easter, The Hipwaders deliver a swingin’ rendition of Gene Autry’s classic, “Peter Cottontail.” “Here Comes Peter Cottontail” is the perfect companion for your Easter related activities. This bouncy “tail” is filled with rockabilly style that will make you want to kick off your shoes and do a little (sock) hopping of your own. Always upbeat, the Hipwaders deliver straight rockin’ grooves while introducing us to one of the coolest bunnies in town as he hip hip hoppa hippa hip hip hop’s down the bunny trail. 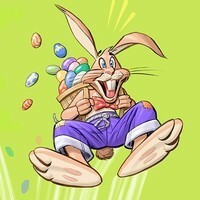 Get your Easter baskets ready, kids! You can listen to the song via the SoundCloud widget below. The song features soft vocals by Uquilles in accompaniment with some strings and pedal steel guitar accents giving the song a nice pop/country blend. “Gaia She Knows” is the perfect companion for Earth Day and a wonderful way to talk with your kids about conscious, green living. In fact, upon hearing this song, my 4 year old decided that she wanted to go home and “clean up the streets to help the planet right now!” Which, we did. I love being inspired by music and through their thoughtful lyrics, The Hipwaders provide a forum for families to work together. Although this song should be played for all ages, the lyrics will most likely resonate among ages 4/5 and up. 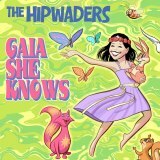 You can hear samples from the entire album as well as purchase the tracks digitally via The Hipwaders official site.